Baltimore has hit its 300th homicide this year making 2018 the fourth year in a row where the dangerous city’s murder rate passed the 300-mark. The high mark was reached on Wednesday when police were called to a shooting at around 11:30 p.m. Officers found a 30-year-old man shot and he died later at a hospital, Baltimore’s CBS affiliate reported. The growing murder rate has made Baltimore the third most dangerous city in America overall, and with 300 murders among its 618,385 residents. The city also has the fifth highest murder rate in the country. 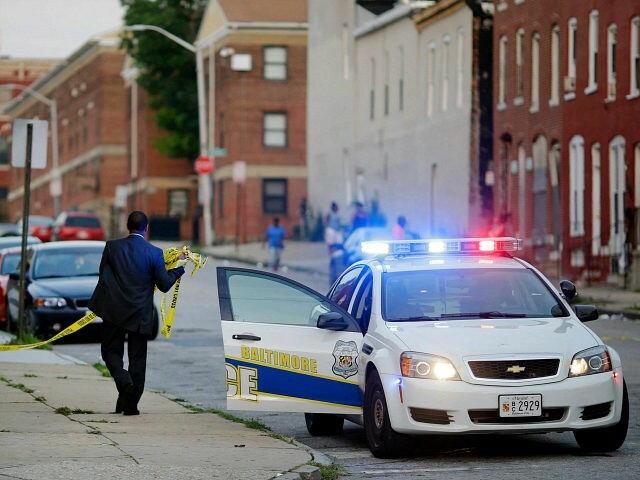 Crime data released by the FBI shows Baltimore’s murder rate is far higher than other cities of a similar size and with a per capita rate higher than most cities of 500,000 citizens or more. With 345 slayings last year, the city earned an odious murder rate of 56 per 100,000 people, USA Today reported in September. Baltimore surged past cities such as Detroit (40 per 100,000), Memphis (28 per 100,000), and Chicago (24 per 100,000). Maryland’s biggest city lagged behind St. Louis, which saw a murder rate of 66 per 100,000 last year.